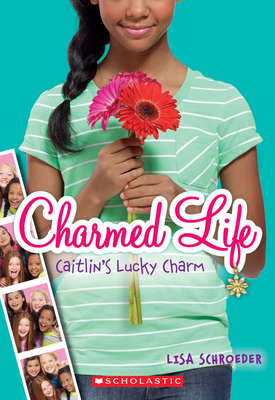 Four best friends, one lucky bracelet, and an utterly charming new middle-grade series! Caitlin would stay at summer camp forever if she could. Her new best friends in the world, Hannah, Mia, and Libby are there. And at home? Everything's different: Her dad is worried he might be losing his job; her mom is repainting the whole house and making the kids volunteer at a soup kitchen; and Caitlin is starting sixth grade at a new school, where none of the girls are as fun or friendly as her Cabin 7 BFFs. But Caitlin has a good-luck charm -- or a good-luck charm bracelet anyway. The Cabin 7 girls bought it together, and Caitlin is taking the first turn wearing it. She's sure it will help turn her luck around . . . but when? Lisa Schroeder is the author of the teen novels THE BRIDGE FROM ME TO YOU; I HEART YOU, YOU HAUNT ME, and its companion, CHASING BROOKLYN; and the Oregon Book Award finalist THE DAY BEFORE. She's also the author of the middle grade Charmed Life series and the It's Raining Cupcakes trilogy. Lisa is a native Oregonian and lives in Beaverton with her husband and two sons. When she's not writing, you will probably find Lisa reading, walking the dog, baking yummy treats, or at www.lisaschroederbooks.com.